Aleksandr Solzhenitsyn’s “Gulag Archipelago” is required reading for Russian high school students. The book is a first-hand account describing the horrors of the repressive Soviet labor camp system that resulted in the deaths of as many as 10 million people over several decades (the Soviet Union’s figures were far lower and are widely disputed). Gulags have become synonymous with dictator Joseph Stalin’s rule over the Soviet Union, but the camps were first started in 1918—right after Vladimir Lenin took power and began the Russian Civil War. Solzhenitsyn’s account, published in 1973, was widely seen as a refutation that the Gulag system was a Stalinist, rather than communist, creation. The prison camp system was created under Lenin, though Stalin greatly expanded it, coming up with the name “Gulag” in 1930. Fire, fire! The branches crackle and the night wind of late autumn blows the flame of the bonfire back and forth.The compound is dark: I am alone at the bonfire and I can bring it still more carpenters’ shavings.The compound here is a privileged one, so privileged that it is almost as if I were out in freedom—this is an Island of Paradise; this is the Marfino “sharashka”—a scientific institute staffed with prisoners—in its most privileged period. No one is overseeing me, calling me to a cell, chasing me away from the bonfire. I am wrapped in a padded jacket, and even then it is chilly in the penetrating wind. But she—who has already been standing in the wind for hours, her arms straight down, her head drooping, weeping, then grow-ing numb and still. And then again she begs piteously: “Citizen Chief! Forgive me! Please forgive me! I won’t do it again.” The wind carries her moan to me, just as if she were moaning next to my ear. One of her fellow Gulag prisoners, upon hearing about the escape, exclaimed: “Oh, I hope they catch her, the [expletive]! I hope they take scissors and—clip, clip—take off all her hair in front of the line-up!” That’s how they punished women in the Gulag system. The girl who was punished by being forced to stand in the cold at the gatehouse didn’t agree. Such a straw-blond, naïve, uneducated slip of a girl! She had been imprisoned for some spool of thread. What a dangerous thought you expressed there, little sister! To that flame and to you, girl, I promise: the whole wide world will read about you. 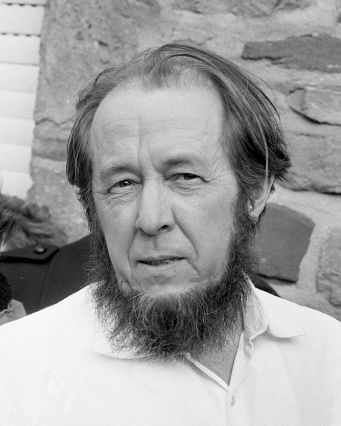 Solzhenitsyn spent about eight years in prisons and Gulag camps; he was arrested in 1945 for criticizing Stalin privately in letters to a friend. After publishing the “Gulag Archapelago” in 1973, he was charged with treason and was exiled from the Soviet Union. The book went on to win a Nobel Peace Prize. 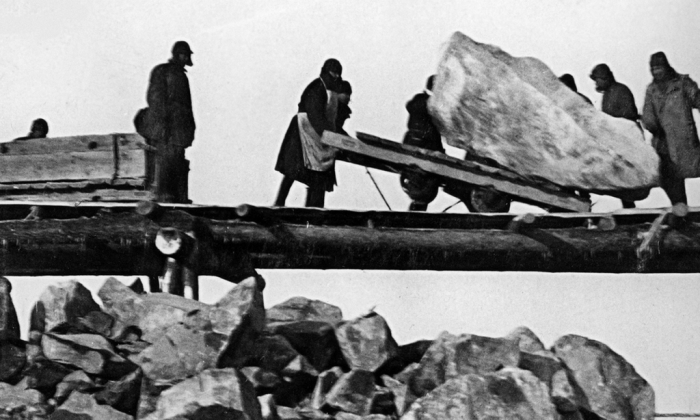 The Gulag system doubled as a place to send—and execute—political prisoners and a source of cheap labor. Prisoners were forced to do labor. While the system was reduced in size following Stalin’s death in 1953, forced labor camps existed until the collapse of the Soviet Union. Estimates of death range from one to around 10 million, with the low estimate coming from a 1993 study of Soviet data between 1934 and 1953. There was no archival data from 1919 to 1934. The 10 million figure comes from “The Great Terror: A Reassessment: 40th Anniversary Edition,” authored by British historian Robert Conquest.